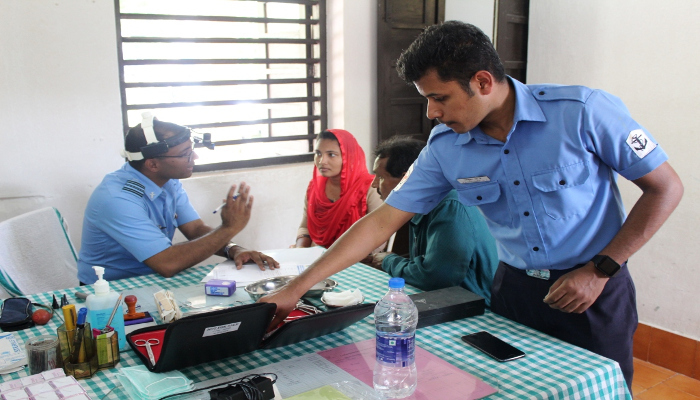 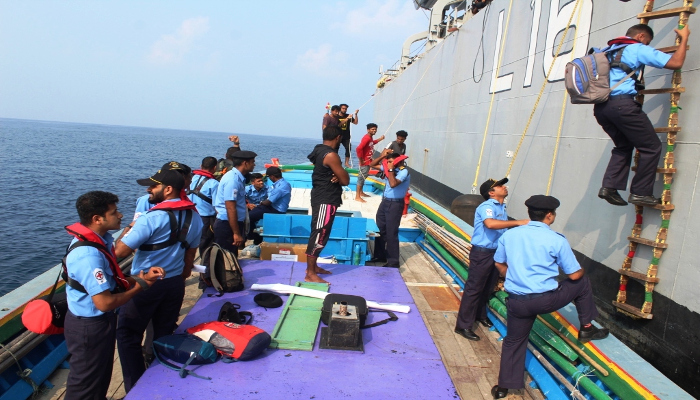 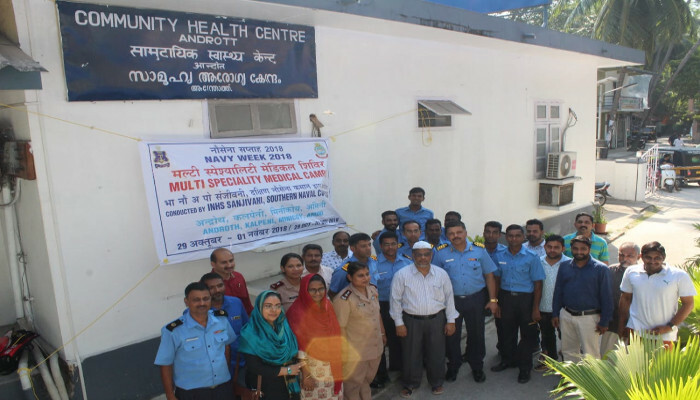 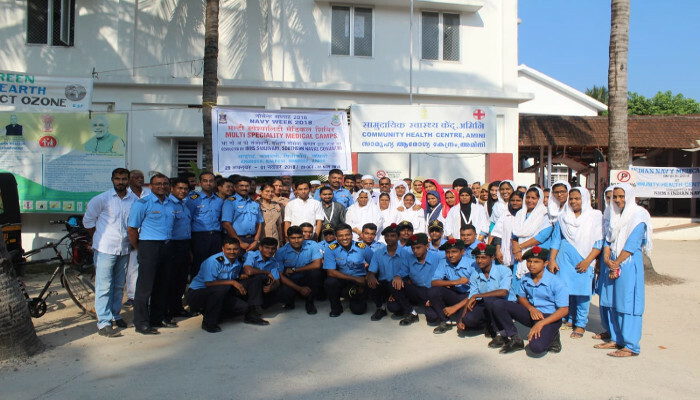 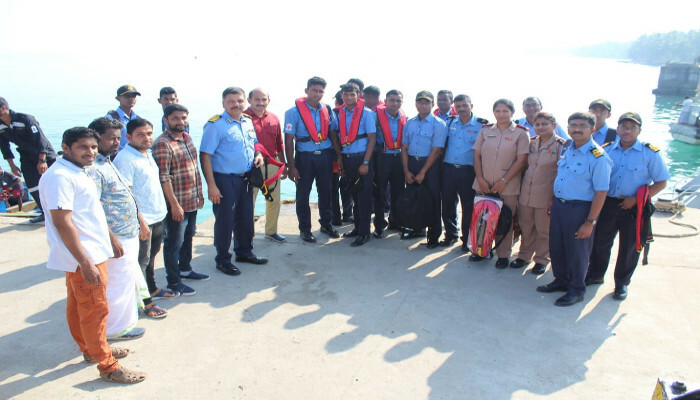 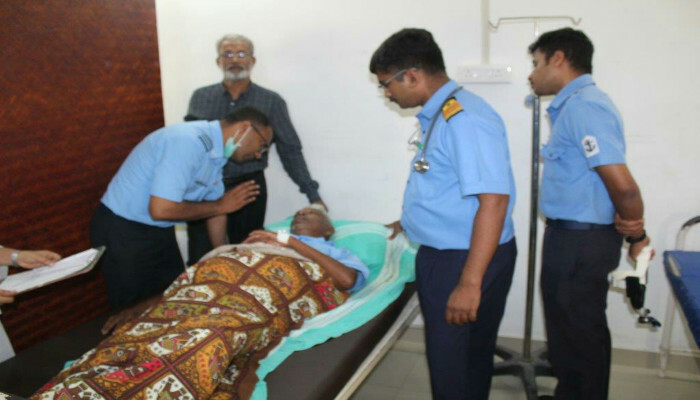 A Medical team from INHS Sanjivani conducted multi-speciality medical camps at four islands of the Union Territory of Lakshadweep between 29 October and 01 November 2018, as part of Navy Week 2018 outreach activities. 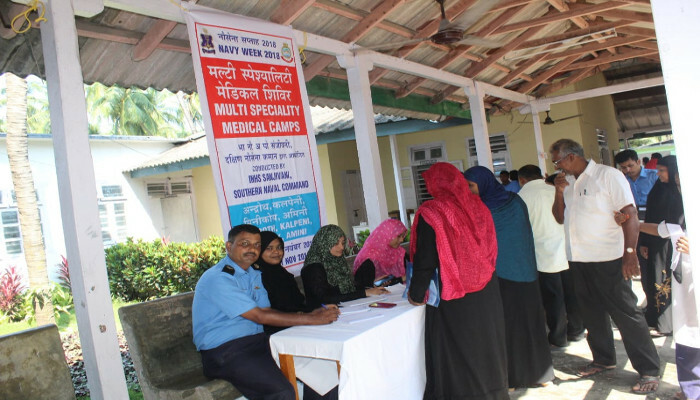 The camps were held at Government Hospital (Minicoy), Primary Health Centre (Kalpeni), Community Health Centre (Androth) and Community Health Centre (Amini). 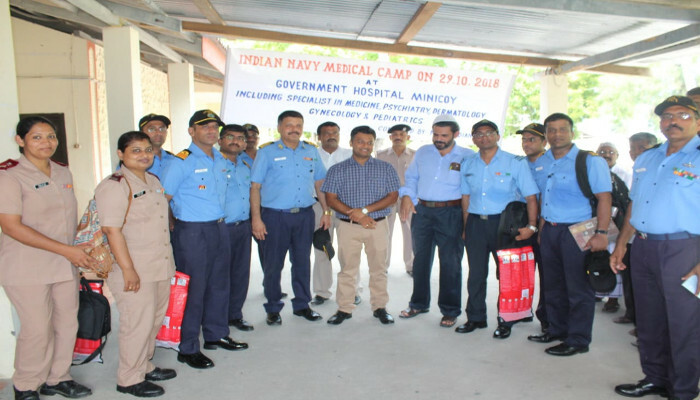 The team comprised a Paediatrician, Psychiatrist, Dermatologist, ENT Specialist, Physician, Orthopaedic Surgeon, Gynaecologist, two Nursing Officers and 12 Para Medical personnel. 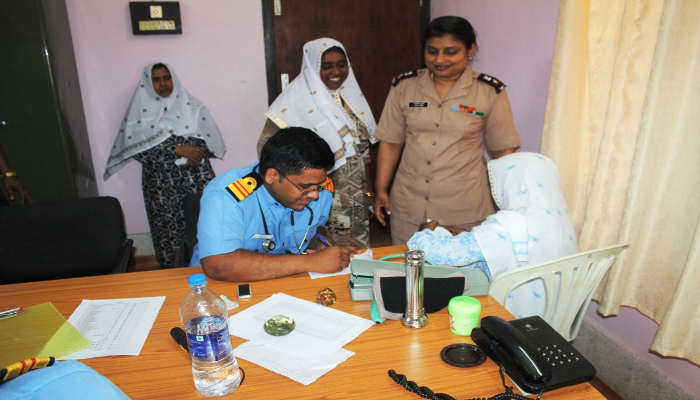 2,230 OPD patients were treated by the medical team. 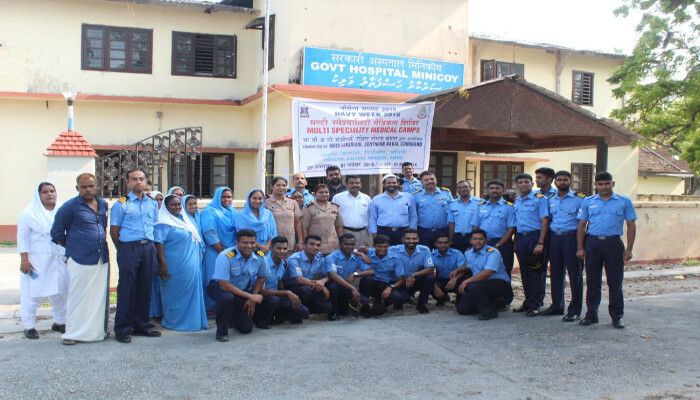 In addition to the medical camps, basic life support training was given to NCC cadets of Govt Higher Secondary School, Amini.